I loved the ritual of church. Sit. Stand. Kneel. Frankincense melting and smoke wafting. The ambience of light streaming through colorful stained glass. The processions, and performance of acts done in a way, for so long, by so many. When I was really little, I tuned it out. When I started to listen, I was confused. Why was I not getting the same good feeling from the priest’s words? When I started to think critically, it was over. It didn’t make sense. It didn’t match up. God was everywhere but not within me? God loved everyone but you couldn’t be gay? My most recent church service experience was at a church with big production value. Big screen. Great music. Uplifting from the start. Then came the talk. The teaching. A letter from someone centuries ago warning of the debauchery of women laying with women that could happen if we didn’t submit to (his definition of) God. Read with an air of that’s-what-it-says-here-don’t-shoot-the-messenger. Yesterday I saw the boy from a church group in apparent confrontation with Native American Elder Nathan Phillips as he chanted ceremonially, in Washington DC. Can’t we teach how to love? I believe so. I propose first and foremost as acceptance of one’s self. Compassion for one’s self as we are. Encouraging the inner work needed to heal, forgive and to connect with the peace that resides at our core. Teaching love from the inside out. Once we get that, compassion for others comes easy. The desire to help and offer our unique gifts to the world is a no-brainer. Reverence for all forms of life is natural. Inspired action and answers abound. Unity is recognized and sought after. The Spirit of Love, the Beauty of God, the Consciousness of Christ can then flow from us and grace the earth and every one. The talk and the teaching is important. The talk can come from Love. Addendum: I have read the student’s account of his confrontation with Nathan Phillips and have seen more video. It seems that there was much division and seeing the “other” as a threat or the enemy that day at that place. I see the issues and dynamics of that particular event differently now. 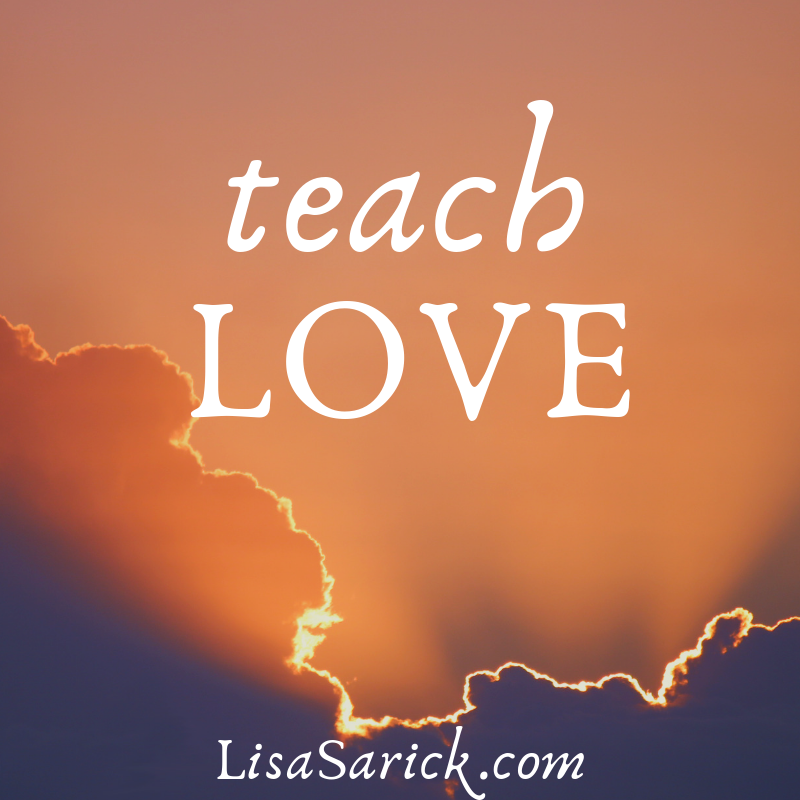 The solution remains the same – teach Love. Teach it till we find that there is no other. 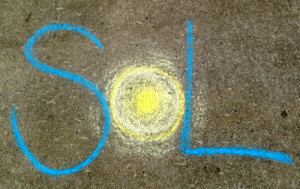 Your spiritual path is not for yourself. Don’t lose sight of that if you start practicing yoga, or meditating, or studying with an enlightened teacher. Insights may begin to come. You may know things, see the future or auras, attune to the medical or physical needs in others, or experience any number of “special”, though natural, powers. My friends and I used to gather monthly as a tribe we called Moon Circle. Seven women getting to know ourselves, practicing meditation, intuitive and creative exercises, and supporting each other in becoming. And one started to hear dead people. Another, animals needs and wants. One opened up her creative channel and out poured beautiful and inspired works of art. My writing began to flow and come to me whole and complete as if a manuscript was dropped off. Like now. 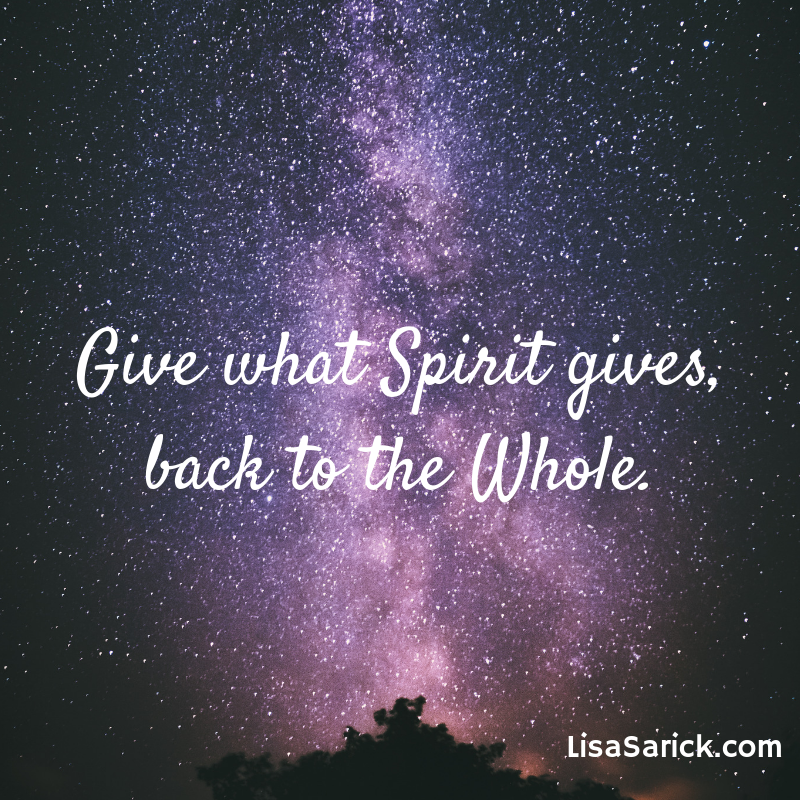 I sat down to write about something else which is turning into this – this message about the importance of giving what Spirit gives, back to the Whole. It’s not for you alone. It’s true that what you offer may not be for everyone. 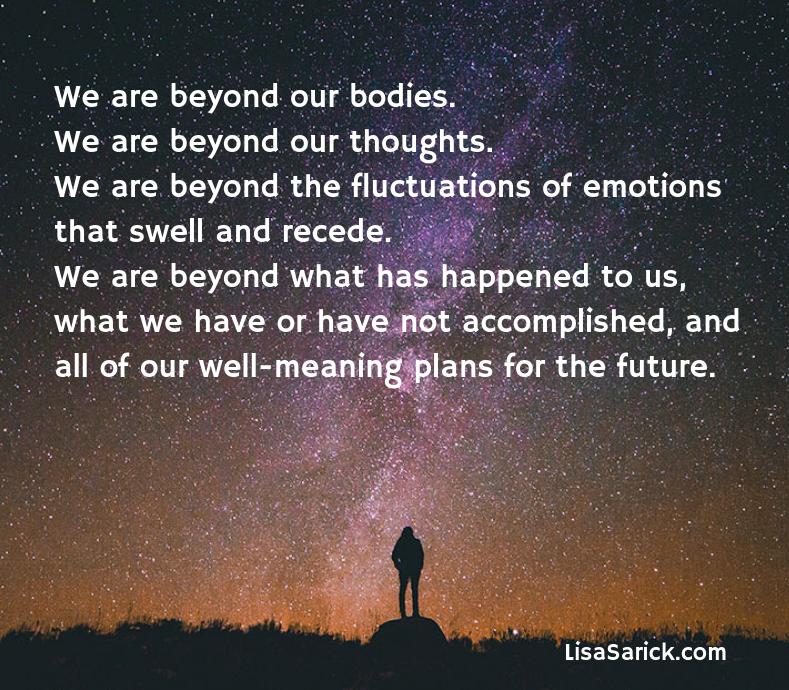 We are at different places in our development, emotionally and spiritually. But those who are just below you will be lifted by your words, your art, your certain kind of caring that is born from Divine Love and compassion. Bring the peace you have found to a world in desperate need of it. Bring the acceptance of self to others that they may feel accepted. Bring useful information to anyone willing to hear it. Mostly, share your Awareness with those you live and work with. Let your presence be a gift and your energy grace the space where you stand, whether or not you utter a word. Embody your spirituality. Then, your path is for everyone.